City Deep Sea Explorersより、Deep Sea Helicopter (60093) and the Deep Sea Exploration Vessel (60095). Elvesより。Skyra’s Mysterious Sky Castle (41078). The big surprise was 60097 City Square which, at £140, is much larger than older similarly named sets. 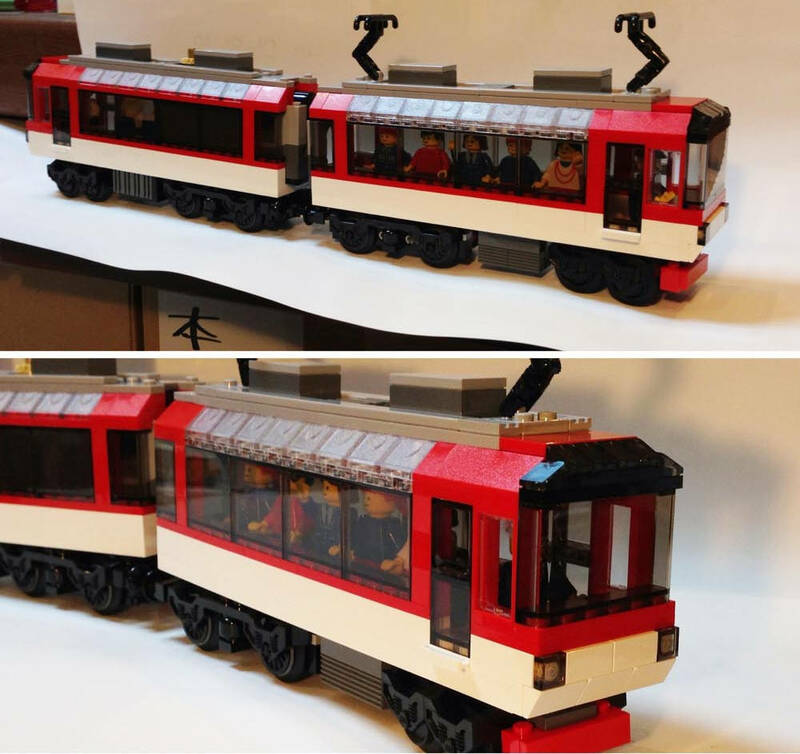 It features a two-car orange/black tram, LEGO store and delivery van, garage and breakdown truck, a coffee kiosk, a tram stop and 14 minifigs. The buildings are open at the back and not very deep, 8 studs I suspect. 60098 Heavy Haul Train was not on display. 31037 Adventure Vehicles (£18) - a green and white SUV vehicle. I didn't notice what the alternative models were. 31038 Changing Seasons (£40) - a small square-ish house, much the same size as the new beach hut, with a bit of garden with tree and BBQ. It comes with parts to change the season: different colour leaves for the tree, white slopes for the roof etc. 31039 Blue Power Jet (£50) - Dark blue and white, about the same size and similar design to the red/white one from a few years ago. It looked to be based on an F-15 or similar. The friends now have a pop star friend called Livi. Five sets revolve around her: a recording studio, dressing room, stage, telescoping tour bus and limo. They are predominantly white, black and magenta in colour rather than pastel. 41101 Grand Hotel (£100) looked pretty good. I didn't get a good look because the area was crowded but what from I remember it was tan with lavender highlights, had a lot of pillars at the front and two bedrooms upstairs. 42040 Fire Plane (£45, 578 pieces) - A white with red seaplane, maybe 30cm wingspan whose single propeller turns as it's pushed along the ground. A lever on top controls the ailerons and elevators. It also comes with trans blue 2x2 round bricks that can be ejected onto a fire below. 42042 Crawler Crane (£110, 1401 pieces) - a very large and impressive motorised crane which, refreshingly, is blue and not yellow. The boom must have been 1m long. 42043 Mercedes Benz Arocs 3245 (£170, 2793 pieces) - A stunning vehicle featuring power functions and pneumatics. The cab is white, the tipper grey. It has a pneumatically controlled red arm with an opening scoop at the end. The arm has a new rack housing at the end of it that solves the problem of it being too thick when brick built. It comes with a large motor, 4 pneumatic cylinders, a blue pump cylinder and 4 valve controls. There are three types of cylinder which might all be new. On the box they are labelled as 2/11, 1/11 and 1/5. 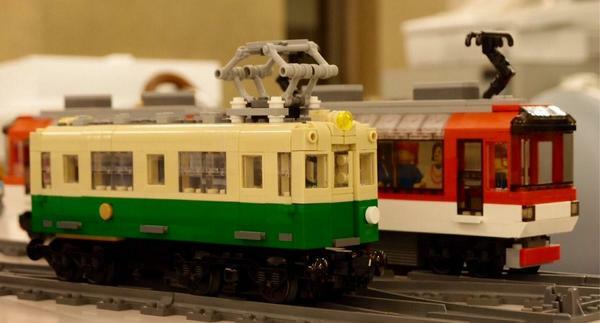 The 2/11 is, presumably, 11 units long and 2 wide, the 1/11 was 1 unit wide and, well, you can guess the other one. The Mercedes logo is printed on a 2x2 boat stud. The alternative model, a flatbed truck, looks as good as the main one. This was easily the 'best in show' as far as I'm concerned. 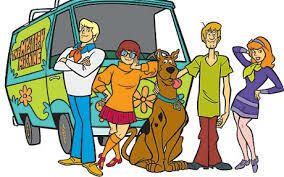 The report from BF is that the sets will be based on the upcoming Cartoon Series, Be Cool, Scooby-Doo! but with a classic 70s vibe. The characters themselves will be actual minifigures and not minidolls.